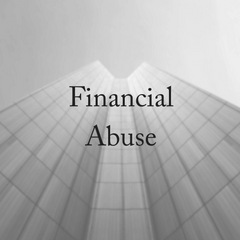 Financial abuse is considered to be domestic violence, but is perhaps not as visible as the signs of physical abuse. Domestic violence is also referred to as family violence or intimate partner violence. 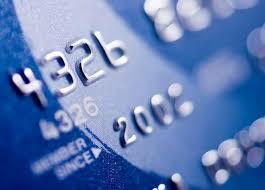 It covers a whole range of abuse, including financial abuse – sometimes called economic abuse. 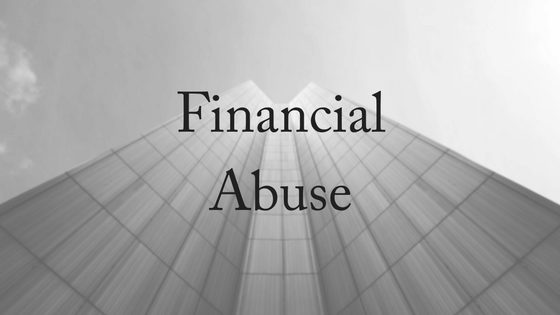 Financial abuse is often tied in with physical violence. It is a form of abuse whereby one person in a relationship (usually the male) tries to control and dominate the other person (usually a woman) through tactics that diminish the victim’s capacity for economic independence and forces the victim to rely on the perpetrator financially. refusing to contribute to expenses. Shannon Evans, a Phoenix woman in her early 40’s, said she encountered both domestic violence and financial abuse. She lost her life savings, home and other assets that she brought into a relationship. She recommends looking out for signs or conduct that can lead to financial abuse. 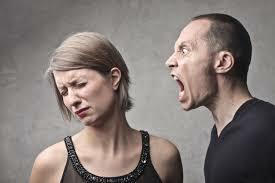 If your partner acts secretively or tends to be angry, be cautious. And she suggests seeking the feedback of impartial friends and family members who might be in a position to observe red flags regarding a partner’s behaviour. It’s estimated that two million Australian women are victims of financial abuse and domestic abuse at the hands of a partner or another family member. Lauren Harry is just one of them. After locking her keys in the family car, her husband, Michael, yelled at her. This wasn’t the end of the incident, though. All night he refused to let her sleep as he screamed at her and obsessively questioned her over her honest mistake. Domestic violence has no socioeconomic boundaries. Lauren is a highly educated woman who was earning a significant salary, which her husband tried hard to control. “Why do you need to buy that?” And “I’m not paying for that,” were common phrases Lauren would hear and they’d turn a short trip up the shops into humiliation in front of sales staff. “I became so depressed and in the end was scared for my life. He is just so obsessed with money,” she said. The abuse has left her scarred. The economic bullying and physical intimidation left her confidence and emotional well-being shattered. Although Lauren is now broke, she is also free from her abuser – divorced, but lives again with financial independence. “He’d have all the bills in his name and had secret assets including property that were bought and sold, and which I didn’t know about until after we divorced, which meant I saw none of it despite contributing half the family income. . . I’m not even a spender, I rarely drink, my clothes are second hand and so too is my furniture. . . I’m really lucky I survived and I got help early. But lots of people don’t and many I imagine spend decades in physical or emotionally abusive relationships,” she said. In research done by CoreData, it was found that a large majority of women in relationships felt reliant on their partners for financial support, leaving them exposed to financial abuse. The research firm’s “Female Financial Abuse” findings, which surveyed 801 women nationally to assess their financial independence and literacy levels, found 70.3 per cent relied on their partner to support them financially, leaving them open to financial stress if their partner failed to manage finances correctly. The research also revealed 60.5 per cent of women did not have assets held separately from their partner and 29.1 per cent saved nothing each month. Very few had independent bank accounts, with 39 per cent saying they had their own savings and 33.5 per cent revealing they had their own transaction account, while just 36.3 per cent of women had their own credit card. Financial abuse is not okay – it is a form of domestic violence. If you’d like to speak to one of our experienced family lawyers, we offer a free, 10-minute phone consultation. Please contact us today.